MLM gift Plan is a Next Generation concept in the world of network marketing. There are milions of people who are taking advantage of MLM strategy. This plan also known as donation plan or mlm donation plan. In this concept a persone get advantage by making donation to others. This is a give and take concept. First you have to give or donate only then you will take gift or donation from others. So this concept is wonderful due to its attraction. If you will gift 1 then you will receive multiple of you gifted. This software works like a gift manager who know about each steps of this plan. 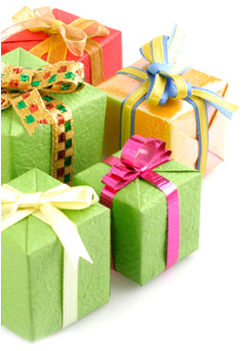 There is no need to remember complex conditions of gift sending process. It will track all things by own. You can call this software a donation manager software as well. This software compatible to different types of business plans. You can set all gift sending condition at once and it will manage according to your instructions. So it will make your task easier and save time for so you can take care of other things by purchasing this from us.